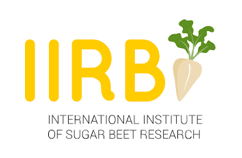 The IIRB , the International Institute of Sugar Beet Research is an international organisation that establishes collaboration between different European specialists in beet growing techniques. Every two years it hosts a congress that brings together leaders in the Sugar Beet Industry to discuss technical sugar beet issues ranging from diseases and progress to yield improvement and solutions. This year the congress took place in Deauville, France in June. Syngenta Seedcare participates actively in the IIRB congress to meet scientists, specialists and technical experts from sugar beet organizations globally. But also sees it as an opportunity to share information about innovations in the Seedcare portfolio. This year we were proud to launch our new product: VIBRANCE®SB. o Gives the best foundation for yield and quality. VIBRANCE SB goes beyond disease protection. It supports sustainable agriculture by helping the crop take better advantage of available water and soil resources, which is particularly important under stress conditions. ©2018, Syngenta. All rights reserved. The information contained in this publication is proprietary.